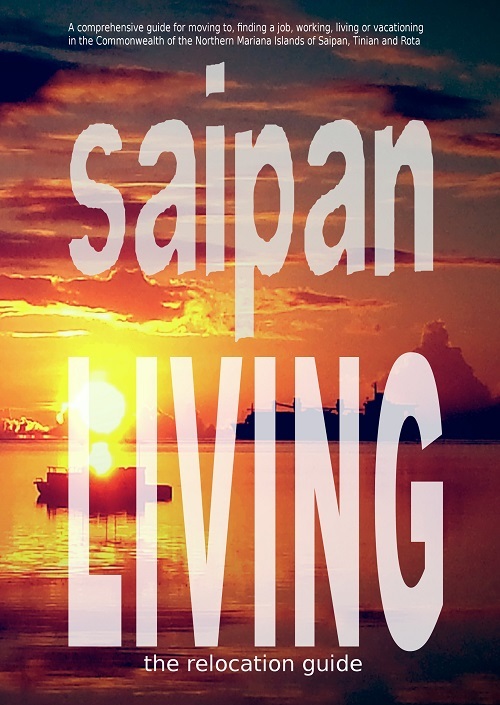 Welcome to the Saipan Living Website! Discover for yourself what it's like to live, work, do business, invest, vacation, or retire on the Pacific island of Saipan, CNMI (Commonwealth of the Northern Mariana Islands), a US territory. Welcome Cruise ship visitors! Saipan in a day? Yes, you can! Sign up for a SPECIAL SHORE EXCURSION TOUR!! Located in the western pacific, a short flight from Guam and 3 hours from Japan, the Commonwealth of the Northern Mariana Islands (CNMI) is a popular tourist destination rich in history, culture and natural resources. Saipan, just 5 miles wide by 13 miles long, is the largest and most populated of the 15 islands making up an archipelago that stretches 400 miles (north to south) along the edge of the Marianas Trench. While we can't guarantee an answer given the volume of questions we receive, you may ask one here. Order any of our products directly from us (i.e. click on or and you can ask up to 3 general or personalized questions we'll do our best to answer within 2 to 3 days (typically less). Saipan Living 2018! The Relocation Guide! YES, THIS TITLE HAS BEEN UPDATED for 2018! Saipan Living 2018! A comprehensive guide for moving to, finding a job, working, living, retiring or simply vacationing in the Northern Mariana Islands of Saipan, Tinian and Rota. An "on the ground" overview of life on Saipan, Commonwealth of the Northern Mariana Islands (CNMI) researched, compiled and presented by a (former New York City dweller turned rat race escapee) CNMI resident and author with over 10 years of experience observing, exploring, writing about, offering tours of, answering questions and personally enjoying Saipan living! 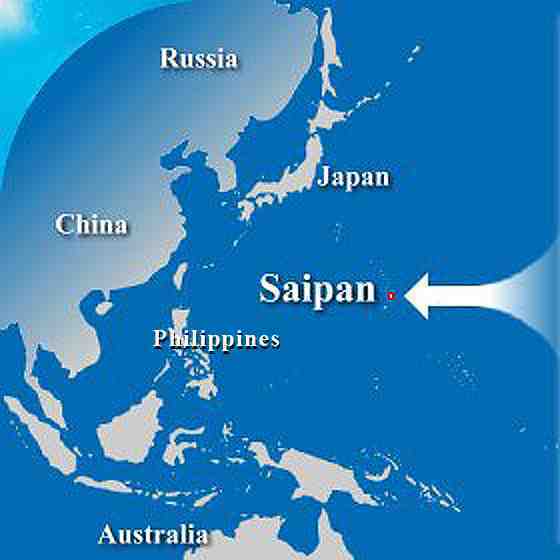 Where exactly is Saipan? Is it a place I can escape to? What's it really like? Can I retire comfortably there? What taxes will I need to pay? Will I be able to vote in the US elections? Do I need a visa or passport to go there? Read Saipan Living 2018, and discover Saipan for yourself! Find out what it's really like to live on Saipan from current, up-to-date, on-the-ground information that not even the ! Get answers and information and learn everything you need to know about visa & passport requirements, job opportunities, labor laws, expat communities, pets, churches, schools, gun laws, crime stats, the economy, dating, land ownership and much, much, much more! An A to Z index of relevant topics from "accommodations" to "zoning laws" with specific, up-to-date information and answers to the most frequently-asked questions as well as "tropical island lifestyle" details you probably haven't even thought about thinking about--details and nuance that the CIA website, travel guides, and even blogs don't get quite right. Indexed TWO ways for your convenience: (1) by Frequently Asked Questions and (2) by topic! • The latest updated information as of 2018 including entry requirements, cost of living, job search, school life and more! • The latest census information with "reality check" modifications from those who actually live there! • Facts as well as valuable opinions from past, current and even future residents! • Completed tax forms with instructions to show how to pay taxes on Saipan! • 10 years of questions collected from the saipanliving.com website, along with the actual responses from past, present, and even future residents. • Actual "relocation scenarios" featuring people's real concerns and the answers they received! • Photos of the islands you won't find anywhere else. • "The good, the bad, the beautiful and the ugly!" Yes, it's not all peaches and cream! • Chamorro, Carolinian, Filipino, Chinese, Russian, Korean, American, Japanese viewpoints and perspectives on Saipan living. Yes, you get all this and more to help you decide if Saipan is the right place to visit, vacation, venture into business, retire or simply escape the rat race! "Just finished your book and very much did enjoy it I am sure I will read again and again it has a lot of very good information and answered most of my questions." --Keith P. p.s. keep me in the loop please. "Super Typhoon Yutu hit the Northern Mariana islands of Saipan and Tinian on October 25, 2018. With winds of over 180 miles per hour, there was tremendous devastation that has left hundreds of men women and children homeless. However, beyond the homelessness, there is also a unique loss that many are experiencing--and that is the loss of a hopeful future. I was inspired to launch this campaign after a brief two minute meeting with..." READ MORE AND please consider CONTRIBUTING ANY AMOUNT to the campaign: MORE.. Despite historical opposition by the general population voiced in public referanda over the years, local lawmakers pushed through an approval of allowing a company to build and operate a casino on Saipan. MORE.. This is likely the most urgent situation in the CNMI. With the total number of allowable contract worker contracts decreasing each year towards the goal of a total phaseout by the USCIS recently announced that this year's "cap" of 12,999 CNMI work permits has been reached. Consequently, any contract worker with a CW1 visa whose renewal application was not filed, will not be renewed regardless of years in the CNMI, regardless of the number of dependent family members living in the CNMI. This decision has already started to have dire consequences for employers, spouses and children of contract workers on Saipan, Tinian and Rota.... MORE.. The minimum wage in the CNMI is now $7.55/hour. Here's what you need to know if you are looking for a job here. MORE.. The Visa Waiver Program that allows citizens of Russia and China to visit the CNMI without securing a visa in advance is still in effect. Japan tourist numbers fall while China tourist numbers rise. MORE.. Article XII (12), the section of the CNMI constitution that limits land ownership to those of Northern Mariana descent only is up for re-evaluation. MORE.. Both Tinian and Pagan have been subjects of debate MORE..
What's the voting situation? What's the cost of living? Read what other people have frequently asked over the years...! MORE..
What's there to do on Saipan? Jetskiing, trekking tours, submarine rides, parasailing, wakeboarding and much more! MORE.. Throw pillow, mug, clock, tote bag, stuido pouch, drawstring bag and more! Why you need a Saipan tour guide! Getting the visa requirements for Saipan is just the first step! BEFORE you get here, you'll want to reserve a tour guide to give you a PERSONALIZED tour to get the most of the experience! 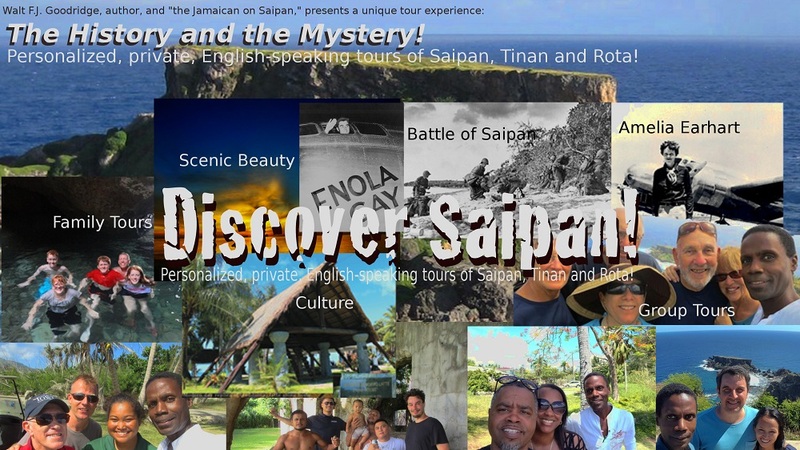 Before you sign up for YOUR personalized tour of Saipan, Tinian or Rota, check out what others have experienced: click here or on the banner below to learn more about the only personalized tours of Saipan! Don't miss any valuable communication from the SaipanLiving™ site!